Come to Jamaica Beach Galveston for surfing, sunbathing, swimming, sailing and the best Galveston rentals. 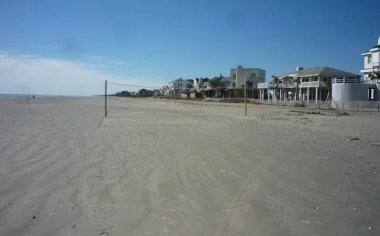 Jamaica Beach is about twelve miles from the Galveston seawall. It's great for family fun activities. There are no disturbances and no fees to the beach. Sunbathing is perfect here. It's one of the best places to get suntanned in Texas during the summer weather. Jamaica beach is known for surfing, fishing, boat ride and other activities. Parking is allowed at the beach. For those interested in fishing, there is always a bait shop in the neighborhood of Jamaica beach. The Galveston State park is 2 miles away. Spend some time to explore the park or do some hiking and bird watching. 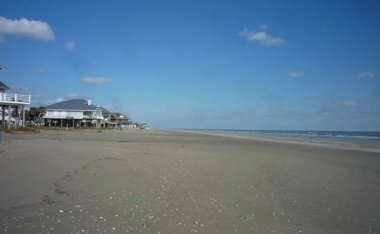 It is always good to arrange for a beach house rental or any Galveston beach vacation rentals before traveling here. Visitors could also inquire about the very nice Silverleaf resort 3 miles from Jamaica beach. For motor home owners, there is a Jamaica Beach RV Park nearby. 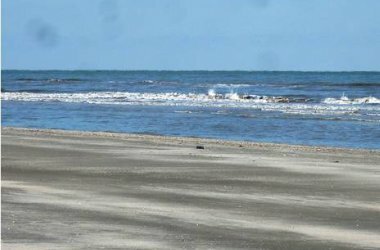 Things to do in Galveston are about 25 minutes drive from the beach. 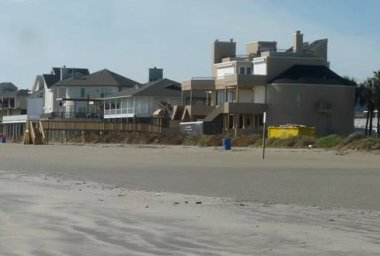 A lot of visitors stay in hotels along the seawall, Galveston condo rentals and other rentals in Galveston but drive to Jamaica beach to have fun. There are not many restaurants here. Ron's Seafood & Steak and Blue Water Grill are two main places to eat. Visitor will have to drive to the seawall or the Stand district restaurants and shopping center for any great dining. Jamaica beach Galveston is a great spot to tour for Galveston vacations. Below are some extra photos of Jamaica Beach. A closer look at the beach.